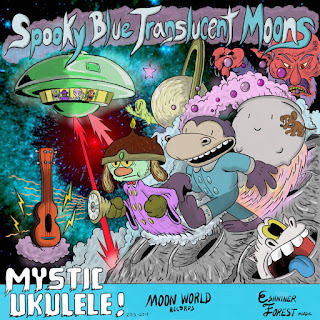 Information about the activities of Moon World Records and The Spooky Blue Translucent Moons. At the link provided, after you click on it, scroll pretty far down, you will see a picture of Howdy Doody. At this point... you will find a few MP3's. One Being the Original version of this song as well as a version that was recorded later, by a group called... The Flying Giraffe as well as the original Howdy Doody theme song. I liked this blog, i think is very interesting, most of all for the new ideas that this blog talk. screen in Ie. I'm not sure if this is a formatting issue or something to do with web browser compatibility but I thought I'd post to let you know. Food Lion - Cerial Boxes. Ryan is a song writer and blogger. Eshniner Forest Live in Atlanta!